In a time of threats to internationalism Bramwell Booth, Catherine and William Booth's oldest son, emphasized The Salvation Army's opposition to provincialism, racism and enmity between peoples and nations with the statement: "Every land is my Fatherland, for all lands are my Father´s." The Salvation Army did start as a local expression in the east London slums in July 1865 but it soon expanded beyond that limited area. In the beginning Catherine and William Booth did not have any ambitions to create a worldwide movement. They were totally absorbed in helping people in the slums out of the degrading conditions in which they lived. The work was successful, many became involved and quite soon there were activities established in other parts of London, in great parts of England and in different countries. Salvation Army, Army of God, Onward to conquer the world with fire and blood, Onward to conquer the world with fire and blood! The exclamation point lets us imagine the longing for battle and the challenge to serve. William Booth did not have any posts where soldiers eager to battle were waiting to conquer the world. But time and time again, in nation after nation, people who met The Salvation Army adopted the ideas and the calling to win others for God wherever they went. 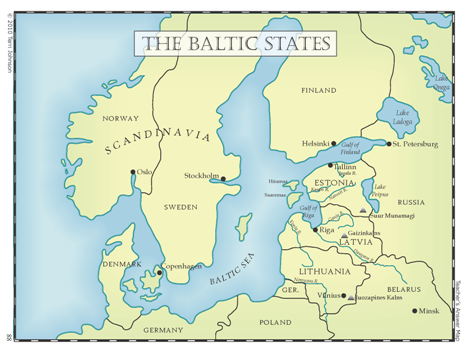 This was the case in Estonia, Latvia and Lithuania. Caspar Dahl, serving in Finland, received a letter from a Salvationist in St. Petersburg, Russia. The letter writer was Liisa Bakul, a soldier in St.Petersburg's fourth corps. She was from Estonia and together with some other Estonian Salvationists had returned to start the establishment of the Army's work there. They had not only started to function as an Army corps but had sought official permission from the authorities. 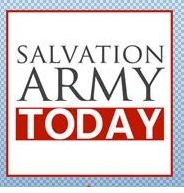 On October 21 1921 the "Christian Association Salvation Army" was registered and approved by the authorities. Lieutenant Dahl was happy about the news but became worried at the same time. 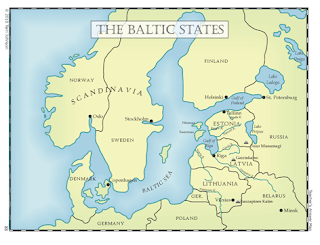 He knew his Estonian comrades and did not believe that they had the capability to organize the work. Caspar Dahl spoke with the Chief Secretary in Finland, Colonel Gustaf Blomberg, concerning the matter. A letter was written to International Headquarters in London regarding the new branch on the Army tree. In March 1922 Staff Captain Rosa Hacklin was assigned to travel to Estonia to investigate the possibilities for the work of The Salvation Army there. It is now possible to see how the pieces of the puzzle fit. The Salvation Army had come to Russia in 1913 and Rosa Hacklin was the first Finnish Salvation Army officer in Russia. 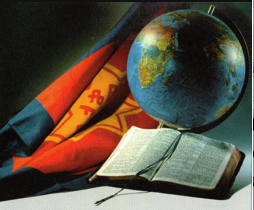 The Estonian Salvationists who had moved from St. Petersburg knew her very well. The Swedish officer Karl Larsson played a significant role in establishing the Army in Russia and his book Ten Years in Russia offers lively and dramatic stories as to what happened in that large Empire The Army was first established in St. Petersburg and this book ought to be read by all who want to know the precursor of The Army's current heroic battle in Russia. Paris may still be fresh in our minds, but not many may remember that seven years back, massive waves of attack on religious grounds took place in Orissa, India. The aftermath of the massacre of Indian Christians in 2008 was gruesome indeed – nearly 100 dead, 56,000 people homeless, 300 churches and 6,000 homes raided and looted. A number of Christian women, as well as nuns, were also raped in the attacks. The Hindu mob had reportedly organized violence against Christians whom they accused of converting Indians to Christianity. The riots targeted Dalits, also known as the "Untouchables" in the lowest caste system, because many had made the decision to convert to Christianity. A recent Christian Post account further revealed that an inquiry into that massacre has concluded its investigation and is set to publish its findings amid reports that Hindu extremism is rising again. It is expected that the details of the worst anti-Christian violence in India's history will be finally be published in December. The speed of completing the process of investigation seems to have suffered from political or administrative interference. Judge A.S. Naidu, head of the Commission of Inquiry, explained that "because of the lack of cooperation of many stakeholders, including the government, it took almost seven years to finish the investigation." Soon after the massacre, Human rights activist Jagadish G. Chandra also made comments that became self-fulfilling with regard to the speed of the investigative report’s finalization: "The celebration is an opportunity to reflect on the theme of growing intolerance orchestrated by Hindu extremist groups across the country, and how these ideas have infiltrated the government, police and courts, eroding the values of justice, equality, secularism and citizenship enshrined by the Constitution of India." Revisiting the verse we looked at a fortnight ago, I felt it was worth looking at again from another angle. 'Pharaoh said to Joseph, “Tell your brothers, 'Do this: Load your animals and return to the land of Canaan, and bring your father and your families back to me. I will give you the best of Egypt and you can enjoy the fat of the land.' Genesis 45:18. It reminds us of God's great grace to us. He wants us to have the best. He has a land for us that is far better than the one we live in. He wants us to go from our famine to his plenty. We live in a world of spiritual famine, but even now we can live in a spiritual land of plenty. Pharaoh would have Joseph bring his brothers back to Egypt, to be where he is. God sent Jesus to be our brother and bring us back to be where he is. Jesus is at the right hand of the father and Joseph was Pharaoh's right-hand man. Pharaoh also says that carts are to be sent from Egypt to Canaan to transport Joseph's family and that they are not to worry about bringing their belongings as 'the best of all Egypt will be yours,'(v 20). It reminds us again of what Jesus said.... 'Do not store up for yourselves treasures on earth, where moth and rust destroy, and where thieves break in and steal. But store up for yourselves treasures in heaven, where moth and rust do not destroy, and where thieves do not break in and steal,' (Matt 6:19-21). Pharaoh wanted them to put their trust in him, assuring them that what he had for them was better than what they already possessed. That is how it is with God and his promises. Throughout the Bible, God's people are commanded to pray at all times. We're to pray when we're low, in good times and bad. And we're to pray in all seasons -- periods of joy and health, as well as sickness or depression; seasons of rest and prosperity, as well as sadness or grief. No matter what our sitiuation or condition, we're to pray without ceasing. I believe every sincere Christian wants to pray. But, of course, not all of us act on this desire. Even mature believers slack off from praying. When they do spend time in prayer, they find it difficult and wearisome, and they quickly lose interest. When I ask my friends why they find it so hard to pray, most of them shrug their shoulders. Their love for Jesus is genuine, and they have a great desire to pray. But they're baffled as to why they aren't more persistent in prayer. HANGING WITH US SO FAR? This should clear it all up for ONE and ALL! The horrific attacks in Paris should force us to ask hard questions about elements within Islam in Europe, questions mainstream leaders have tried hard to avoid. All too often such questions have been labeled Islamophobic or racist. The threat from radical Muslims has often even been relativized by organizations specializing in intercultural dialogue. In my own country of Sweden, the transition to a more pluralistic and religiously diverse society has led to increasing tension over religion. The majority of victims of anti-religious crimes in Sweden are Muslims and mosques, which have rightly received media coverage and support from politicians. But there has been little corresponding engagement concerning Christian victims. According to recent numbers from the Swedish National Council for Crime Prevention, hate crimes with Christophobic motives have increased sharply in Sweden. In fact, hate crimes against Christians and churches have tripled in the past five years, making it the sharpest rise of hate crimes in Sweden. Compared to 2013, the number of reported crimes has increased 76 percent. But only recently have crimes against Christians started to receive media attention. Around 330 hate crimes against Christians were reported in Sweden last year (2014). Forty-nine percent were graffiti/vandalism of churches and parish houses and 35 percent were threats/harassment. I find myself writing just hours after hearing, and observing through the media, the horrific terrorist attacks in Paris. Some of you will have seen my urgent call via Twitter for Salvationists to join in prayer for all those terribly impacted by such senseless slaughter. I can only start and finish this brief message with the same call to prayer… pray long, and pray hard. I shall come back to this call. I want to say that my purpose here is not to make political statements. Others are better placed and carry a particular responsibility to do just that. What I will say, and in doing so I add my voice to those of many leaders within the Christian faith the world over, please pray for political and national leaders. 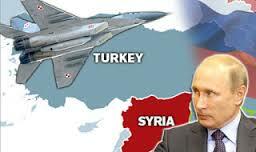 All of them, not just President Hollande and his team in France, but leaders in your country and mine. National leadership is never easy. History shows that. These men and women need the faithful and continual prayers of the Church, regardless of our personal political persuasions. Whenever I meet with political leaders in any country I assure them of my personal prayers, and those of Salvationists in that country. It is important that they know of this. And I exhort you today to pray, deeply, for the grace of God and the personal ministry of the Holy Spirit, to be felt and experienced, in some manner, by the hundreds of family members personally devastated by the senseless loss of life in these hours. Death comes to all, but how it comes and in what circumstances, can add layers of added grief and pain. These circumstances, wherein people were simply enjoying life and friendship on a Friday night, would have seemed the most unlikely for the terrible carnage which took place. The evil of terrorism reached into Parisian cafes and concert halls to strike its innocent victims. And finally, in these few short paragraphs, I urge you to pray for the Church, the Body of Christ, of which our Salvation Army is a vital part. Pray that we will have the courage and the wisdom to fulfill our mission in these times, a mission given by Christ to be both proclaimers of his gospel and also ministers of his grace and love to all. To all… regardless of their culture, race or creed. We are brothers and sisters of one humanity. One humanity created, and loved, by God. There will possibly be strong voices within the public sphere calling for vengeful retribution against those who had nothing to do with these atrocities. In some small way the voice of the Church, of you and I, can call for added grace and care in these days. We can bring light into the gloom. Sometimes people say to me words like, ‘Never has the gospel of Christ been needed more. We live in the darkest of times.’ I understand the sentiment behind such comments, but we only have to look briefly at the unfolding of human history to know that always, through all eras, the gospel of Christ has always been needed. Have we forgotten the Dark Ages? The light of God as seen in Jesus, has always been needed to dispel darkness. Always the message of the gospel is needed by people, by all people. We hear John testifying in the opening verses of his gospel, about Jesus, that he was ‘the true light, which gives light to every man (person)…’ (John 1:8). To every person who receives him, that is. Nothing is forced upon the individual. Elsewhere, John talks about people, humanity, us, choosing to live in darkness rather than in the light of God, as most perfectly seen in the person and work of Christ. May it not be so in our case. And may we be witnesses to that Light which is the light of the world, the light which ‘darkness cannot comprehend’ (John 1:5). So my friends, Commissioner Silvia and I exhort you to prayer. In troubling times, our knees must bend more than ever. I am reminded of the song we sing in the Army, the world over: ‘He giveth more grace’. There is a line therein which says ‘to multiplied trials he multiplies peace’. People in Paris, and many other places, are experiencing multiple trials of the sort which most of us cannot really comprehend. For them we pray that somehow, a multiplication of peace, through the Holy Spirit, will be their experience. If not today, then soon. God’s grace be with you. 'Pharaoh said to Joseph, “Tell your brothers, 'Do this: Load your animals and return to the land of Canaan, and bring your father and your families back to me. I will give you the best of Egypt and you can enjoy the fat of the land.' Genesis 45:18. When Joseph took his brothers aside privately to tell them who he really was, we read in 45:2 that he broke down and wept as he spoke to them and the noise of his weeping was so loud that everyone in the house heard it. You can imagine the conversations among the servants following that; real Downton Abbey stuff! News soon got back to Pharaoh's household. Fortunately, both Pharaoh and his officials were pleased for Joseph. Joseph had saved both Egypt and Pharaoh. He was so grateful to Joseph, for his and his nation's salvation, that all he wanted was to please him in return for what he had done, (and was still doing). The evidence of his enormous gratitude can be seen in the verse quoted above. That is how it is when a man or woman is truly saved. Such is the sense of indebtedness and gratitude we have to God for what he has done and continues to do for us, that all we ever want to do for the rest of our days, is please him in return. "The joy of the Lord is your strength" (Nehemiah 8:10). At the time these words were proclaimed, the Israelites had just returned from captivity in Babylon. Under the leadership of Ezra and Nehemiah, the people had rebuilt Jerusalem's ruined walls. And now they set their sights on reestablishing the temple and restoring the nation. At this point, Nehemiah called a special meeting at the city's water gate, within Jerusalem's rebuilt walls. "And all the people gathered themselves together as one man into the street that was before the water gate" (Nehemiah 8:1). Some 42,360 Israelite men were on hand for this meeting. Standing alongside them were 7,300 servants, including 245 singers. Altogether, about 50,000 people were gathered. First came the preaching of God's word. Scripture says the people were hungry to hear it: "They spake unto Ezra the scribe to bring the book of the law of Moses...Ezra the priest brought the law before the congregation both of men and women, and all that could hear with understanding" (8:1-2). These people didn't need to have God's word pushed on them. A consensus of hunger had developed among them. And they were fully prepared to submit to the authority of God's word. They wanted to be governed by it, to make their lives conform to its truth. From birth through adulthood, including every age group and vocation, The Salvation Army has already in place a context for discipleship. Add to this list, Women’s Ministries, social service recipients, children’s and youth programmes galore, as well as musical sections, and the potential for highly effective discipleship of the multitudes that come within our influence, is profound – were there intentional effort applied systematically and in authentic relational ways. People grow through relationships. Therefore, leadership must be relational for maximum influence. As Jesus went on from there, he saw a man named Matthew sitting at the tax collector’s booth. “Follow me,” he told him, and Matthew got up and followed him. While Jesus was having dinner at Matthew’s house, many tax collectors and sinners came and ate with him and his disciples. Jesus chose to be available, accessible and vulnerable to a wide variety of individuals; in one-on-one conversations and interactions. In fact, He was the ultimate mentor. He taught thousands on hillsides but was superb in one-on-one situations. He invested in the individual – regardless of age, status, gender – from the rich young ruler to the Samaritan woman to Nicodemus the Pharisee to the haemorrhaging woman to the thief on the cross. Jesus also deeply invested in the three among the twelve disciples – Peter, James and John – with whom there are more recorded mentoring dialogues in the gospels than any other individuals. 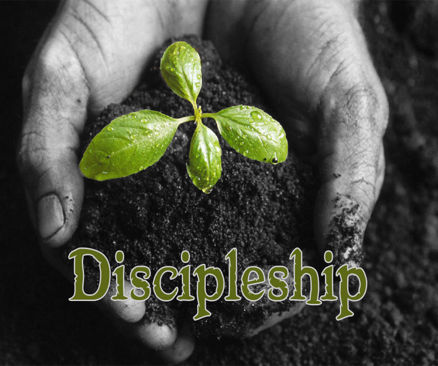 What is discipleship? How did Jesus make disciples? How can I become a disciple? How can I be a disciple-maker? Why should I prioritise discipleship? How can I be discipled in The Salvation Army? If you are asking these questions, you are not the only one. In fact, I think you would find many, who are asking the exact same questions. This three-part series of articles contains some insights into discipleship. 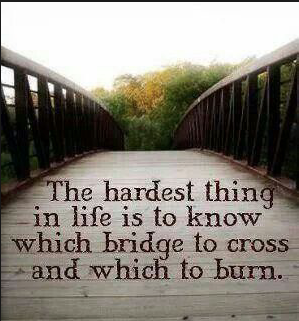 We all have decisions, choices, to make in life. As Judah finished pleading for Benjamin to be set free, expressing his willingness to take his place, explaining that to return home without him would kill their father, Joseph could not contain his emotions any longer. All previous conversations had been through an interpreter. The brothers had no idea that Joseph, all dressed up in his Egyptian regalia, was their long-lost brother. It was time to disclose to them who he was. He needed privacy and so he ordered all his officials and servants to leave the room. Joseph's words were accompanied by floods of tears. So loud was his wailing that everyone outside the room heard it and news got back to Pharaoh's household,(v 2). You can imagine the gossip that travelled along the Egyptian grapevine! It must have been a terrible shock for the brothers to suddenly hear this 'Egyptian' speaking fluently in their mother tongue, never mind what he had to say. Having previously kept them at a distance, Joseph drew his brothers close to him (v 4), repeating himself in an effort to convince them that he was indeed their long lost brother. They were terrified, not without good reason, but he reassured them of his goodwill and his desire that they didn't condemn themselves for what they have done. Joseph saw all that had happened as being part of God's plan to save many lives. Despite all the injustice he had experienced, Joseph bore no ill will or animosity towards his brothers. What a lovely spirit, something of the Spirit of Jesus, surely? When we are totally surrendered to God, desiring that he fulfil his purposes through us, whilst we might not understand the difficulties and sorrows we experience, we can rest assured that God knows what he is doing. As with Joseph, troubles can be there to test us and build our character and prepare us for some particular service,and our consistent faith and trust in times of trouble so often is God's means of touching others and revealing that the Lord is with us. God bless you all.